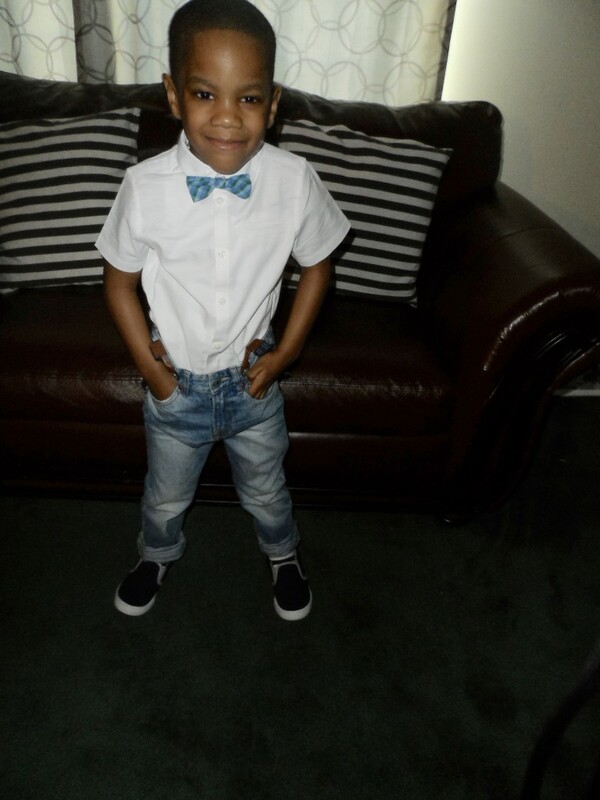 Today was picture day for my youngest son Joshua, he’s four and full of personality as you will see in the pictures. 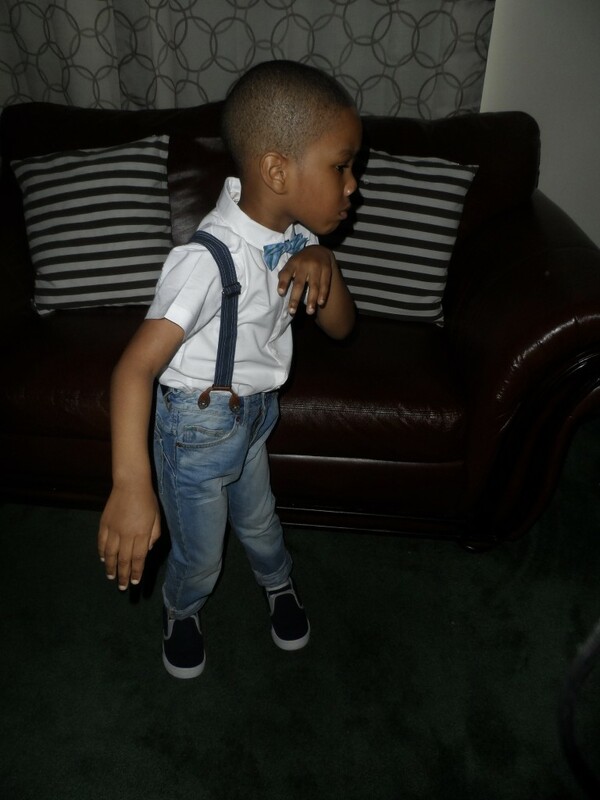 He is usually required to wear a uniform to school daily (navy pants and a grey polo type of shirt). I was elated when the school said we were able to dress them up! Of course you knew where I went, H&M!! As per my Easter Post, I’ve been wanting to do a preppy style on the boys for a few weeks now. I instantly gravitated towards these suspender jeans, so that I can get more wear out of them later. H&M has great quality, strong denim, and I loved the tapered look these had. 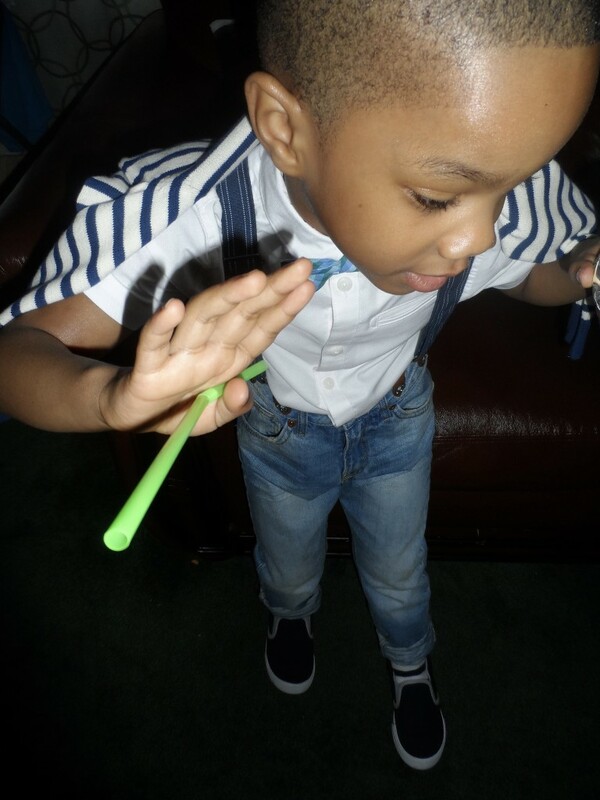 A la Alfalfa from The Little Rascals, you can’t have suspenders with out a bowtie. Enter the classic white button down with the bow tie. I can then pair this shirt later with chinos or shorts for different styling options, total steal at $14.99. I loved the look, but I felt like something was missing…. Enter Carlton Banks from the Fresh Prince of Bel Air! He was the nerdy, preppy, obnoxious, rich cousin to cooler Will Smith! I had to find a sweater to drape over Joshua! I think it takes the look up a notch, and makes him look more put together and stylish. Mr. Man was too thirsty to worry about this photo shoot, but I hope you can see where the look was going! 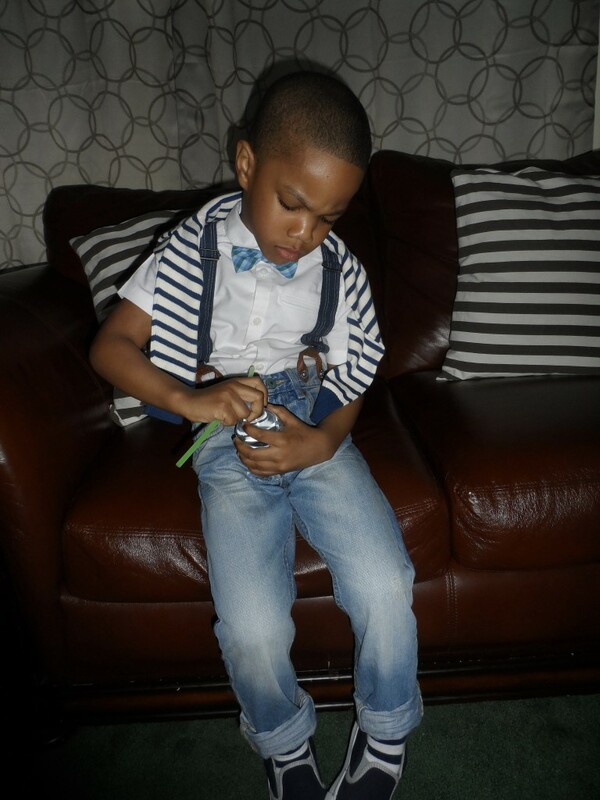 I wanted him to be comfy in school, so I threw on these Osh Kosh Slips Ons for a casually chic effect. Added some matching funky socks, and boom, my very own preppy Little Rascal!